Discussion in 'Guitar Emporium Archive' started by speakerdad, Dec 6, 2016. 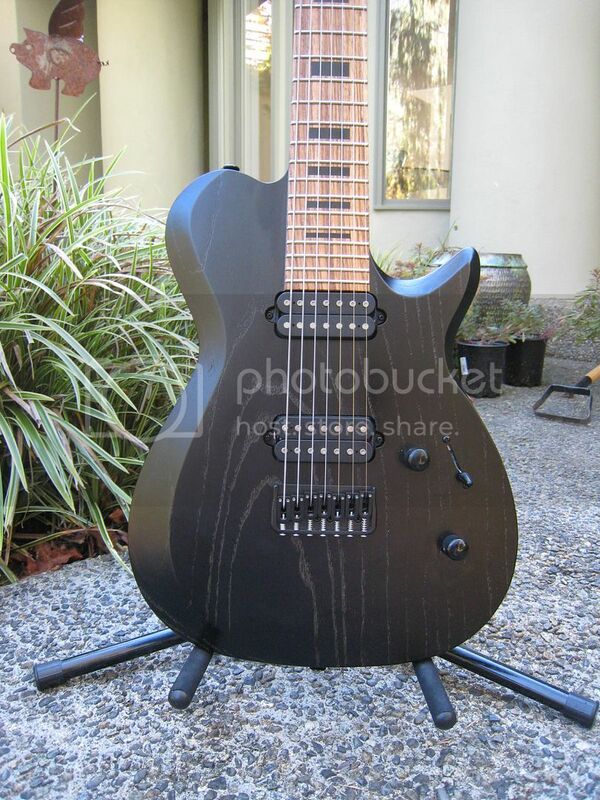 Kiesel SCB7 : SOLD! $1199 : Price includes shipping and shipping insurance. - I am the original owner, bought guitar in 2015. The guitar is in like new condition. No defects or wear. - 100% functional, no issues. Plays and sounds amazing with the stainless steel frets, tung oil neck, thinner neck profile and Lithium pups. 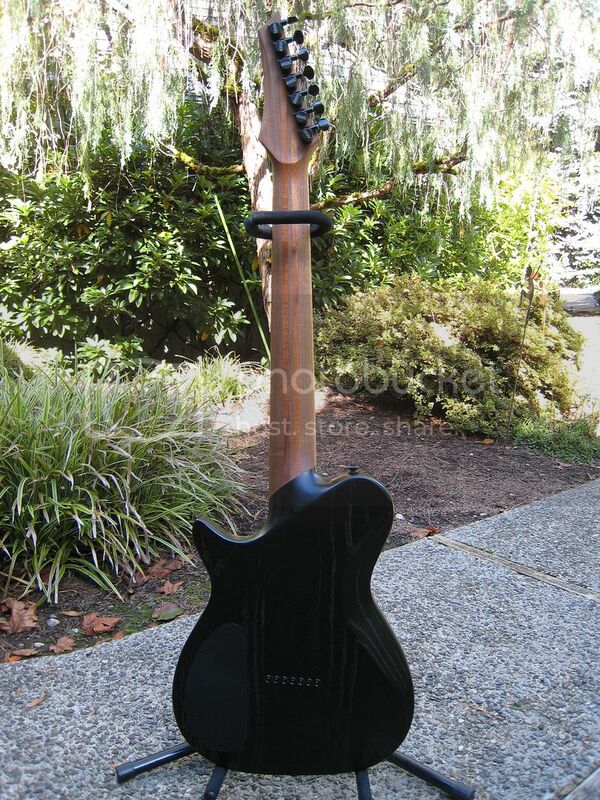 - Swamp Ash body with 1pc Swamp Ash Top. RTF (Raw Tone Finish) Jet Black. Amazing wood grain that really pops. - Matching Jet Black RTF finish on head stock : Gold metallic Kiesel logo. - 5pc Walnut neck with 2 Koa stripes : Thinner neck profile : Tung oil finish : Luminlay side dots. 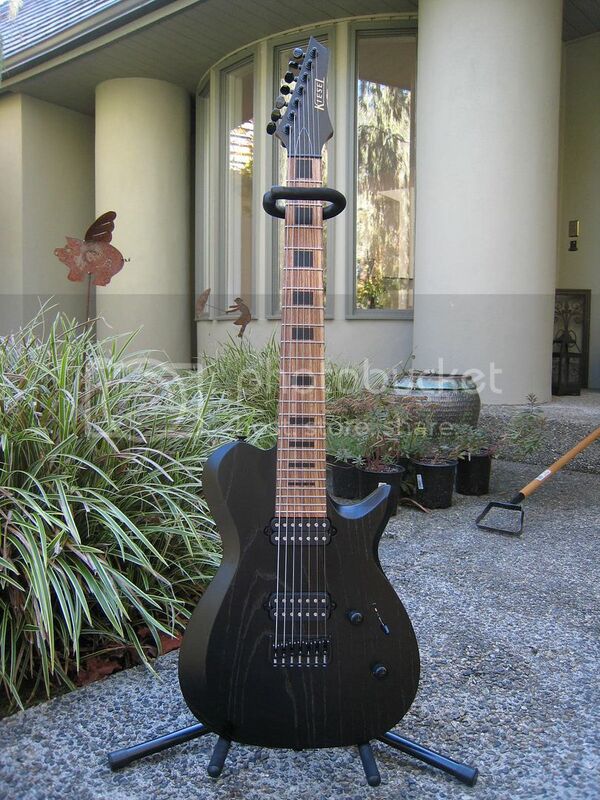 - Zebra Wood fret board : Stainless Steel Jumbo Frets : Black acrylic block inlays.